Thermoforming differs from injection molding, blow molding, rotational molding and other forms of processing plastics. Thin-gauge thermoforming is primarily the manufacture of disposable cups, containers, lids, trays, blisters, clamshells, and other products for the food, medical, and general retail industries. 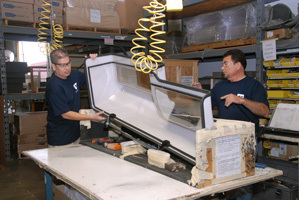 Thick-gauge thermoforming includes parts as diverse as vehicle door and dash panels, refrigerator liners, utility vehicle beds, and plastic pallets. Per Wikipedia. Thermoforming of plastic has been around for many years, but, as with almost every other industry, technology has made some big changes in how thermoforming works. 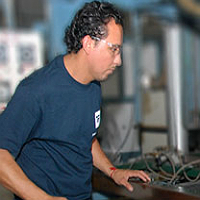 Specialized computer programs now allow us to be even more precise during the thermoforming process, which greatly increases the efficiency of each job as well as the overall quality of the parts. Specifically, computers have increased the consistency of the parts, so that each part is almost an exact replica of the other. This means that parts fit seamlessly into a product, giving the end client a problem-free experience. The efficiency gains we’ve made with technology means that our thermoforming process runs faster and smoother. For example, we can repeat same-job setups, which saves lots of processing and heating time. This translates into lower prices for our clients and a faster turnaround of their orders. At Tru-Form Plastics, we embrace technology that allows us to provide better products for our clients with a faster turnaround and lower costs. Contact us today to learn how we can help you save on your plastic parts needs. Do You Need EMI Shielding with Nickle or Copper? 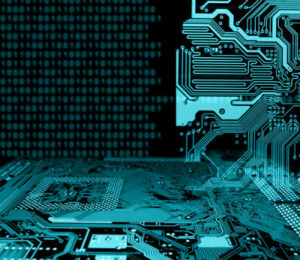 Implementing effective EMI shielding can help prevent electromagnetic interference from disrupting your sensitive electronic equipment, but if you need nickel or copper shielding you are going to have to accommodate the regulations of the Environmental Protection Agency and any local agencies, such as the South Coast Air Quality Management District (SCAQMD). At Tru-Form Plastics, we are one of the only facilities in Southern California that can provide nickel and copper shielding. We are fully certified by the UL on certain substrates, and we work within the regulations of the EPA and SCAQMD. If you work with a plastics company that is unfamiliar with nickel and copper shielding, they will likely face many difficulties, which could delay your project. 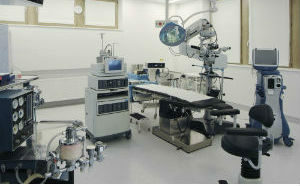 Instead, work with a company, like Tru-Form with the experience and expertise to meet all of your EMI shielding needs. Contact us today to learn more about our EMI shielding services. How Long Has Plastic Been Around? In this day and age, it’s hard to imagine a life without plastic. We find plastic everywhere, from the chairs we sit in, to the cars we drive, and the bottle that holds our favorite soda. However, for the vast majority of human existence, our ancestors relied on natural materials like stone, wood, metals, leather, and clay as the building blocks of everything. It was only thanks to the Industrial Revolution in the 1800s that chemistry started to take off and eventually led to Alexander Parkes patenting the very first plastic material, called Parkesine, which he unveiled at the 1862 Great International Exhibition in London. The first fully synthetic thermoset, (what we would consider a modern-day plastic), wasn’t created until the early 1900s, when Belgian chemist Leo Baekeland introduced his creation, Bakelite. Both World War I and World War II spurred development in the chemistry sector, and by the 1950s, plastic had come into its own. That leads us to today, where plastic keeps us safe on the road, helps deliver astronauts to the International Space Station, and saves lives in hospitals every single day! Do You Need Your Plastics to Survive the Might of Mother Nature? Many plastic pieces get to enjoy the good life, living their days in temperature controlled environments. You would never leave your computer outside during a blizzard or let your precious cell phone bake on a sizzling summer day. However, some plastics are not so lucky. They need to be ready for everything that Mother Nature can throw at them, from frigid temperatures dipping below zero, to hurricane winds, sand storms, and heat that could fry an egg on the sidewalk. All sorts of plastics need to spend a lot of time in harsh environments, including plastic pieces in cars, streetlamps, outdoor signs, grocery carts, dog houses, and so much more! If you are a manufacturer who needs plastic pieces that can stand up to just about anything, than Tru-Form Plastics is your answer. We can manufacture plastics that won’t crack, melt, or degrade in extreme conditions. These plastics will improve the life of your product and keep your customers happy! Contact us today to tell us more about your specific plastic needs. As the holidays approach, speed to market will be a critical component to your company’s success. The faster you can get your products manufactured and assembled, the faster you can get them onto store shelves or into your warehouses for shipping to customers. One of the best ways to increase speed to market is to streamline your vendor processes and to cut unnecessary vendors from your manufacturing chain. The more vendors involved in your product’s creation and assembly, the greater the turnaround for the product and the increased chance of mistakes and surprise delays. At Tru-Form Plastics, we want to help you increase your speed to market. That’s why we not only offer thermoplastic manufacturing services. 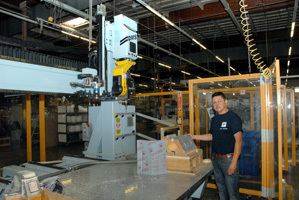 We can also trim, machine, fabricate, bond, and even assemble your plastic parts in our warehouses. You’ll only have to deal with one project coordinator, instead of a dozen different vendors, which will make your job easier too. Give your product a competitive edge! 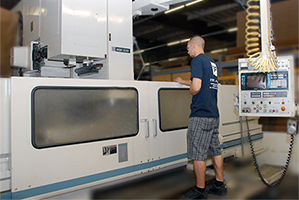 Call us to learn more about our plastic manufacturing and turn-key solutions today. What is the part’s function? For example, does it need to bend or does it need to be strong? What is the expected size and volume of the part? Will the part be exposed to extreme temperatures during its use, or even during storage? Will the part need to stand up to heavy use? Will the part be exposed to any chemicals, outdoor elements, or other damaging factors? If you still aren’t sure what type of plastic to use, contact Tru-Form Plastics to schedule a Plastics Consultation with one of our experienced and knowledgeable representatives. In the western world, plastic is a part of every person’s life, but many of us don’t realize just how much plastic is all around us. Gradually, as the technologies surrounding the creation of plastics (such as thermoforming) have become more sophisticated, plastics have infiltrated almost every nook and cranny of the modern human experience. The Worldwatch Institute noted that in 2015, the average person in North America consumed over 200 pounds of plastics a year. Most of us recognize the most common plastics in our lives, including plastic grocery bags, plastic water bottles, and the plastic packaging on new purchases. However, there is far more unseen plastic all around us. How about the plastic parts in your cell phone, your printer, and your tablet? What about the plastic pieces in your car, your laundry machine, and your Halloween decorations? Some of those plastics are made by us, Tru-Form Plastics. We don’t make the plastic grocery bags or water bottles, but we do make the important parts that help your car, washing machine, and other necessary equipment work! Check out our plastic product portfolio to see just a few of the everyday things we make that you might be using right now!